With little more than a few miles between the ocean and the bay or Long Island Sound, the east end of Long Island, New York comprises two environmentally fragile peninsulas jutting out into the Atlantic some 120 miles from Manhattan. 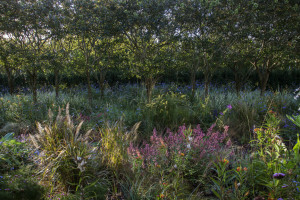 While great attention is paid there to conservation, the area, particularly the South Fork, or the Hamptons, is also the home to numerous well-heeled property owners whose estates are planted, plucked, and groomed to always look their best. While often that entails using herbicides to kill weeds and pesticides to eliminate creepy crawlers – even the helpful ones, by the way – the Perfect Earth Project, a homegrown organization founded by a noted landscape designer, Edwina von Gal, is working to raise consciousness about toxins in the environment and to create a demand for chemical-free landscaping, while helping local landscapers to meet it. “We’re saying pesticides are toxic and they’re very bad for you. They’re accumulating in our environment, and they’re accumulating in our bodies,” said Ms. von Gal on a snowy day this winter at her home in East Hampton. On Long Island, said Ms. von Gal, 118 landscape chemicals have been found in the aquifer that provides residents’ drinking water. “There are 250 million pounds of insecticide dumped on American properties every year,” Ms. von Gal says, and “enough Roundup-type products to kill half the population if we drank it. Getting the message across in her home community of East Hampton, where showy outdoor environments go hand in hand with the homes of the wealthy, “has challenges and it has benefits,” she says. 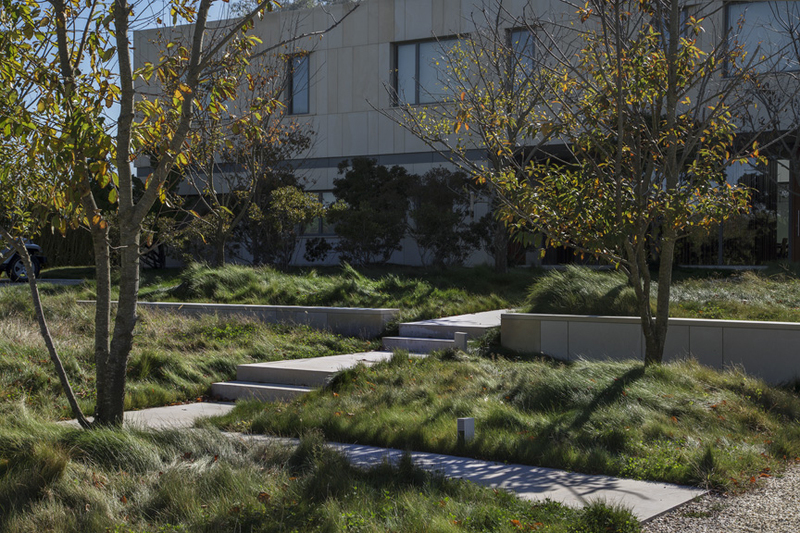 “We found, especially true here, we have clients who are accustomed to having things the way they want it,” said the landscape designer, who has created environments across the U.S. and internationally, and has also founded an environmental organization in Panama. “I realized that first I need to get to the people who write the checks,” she said. One high-profile property owner who jumped on the bandwagon is Calvin Klein. 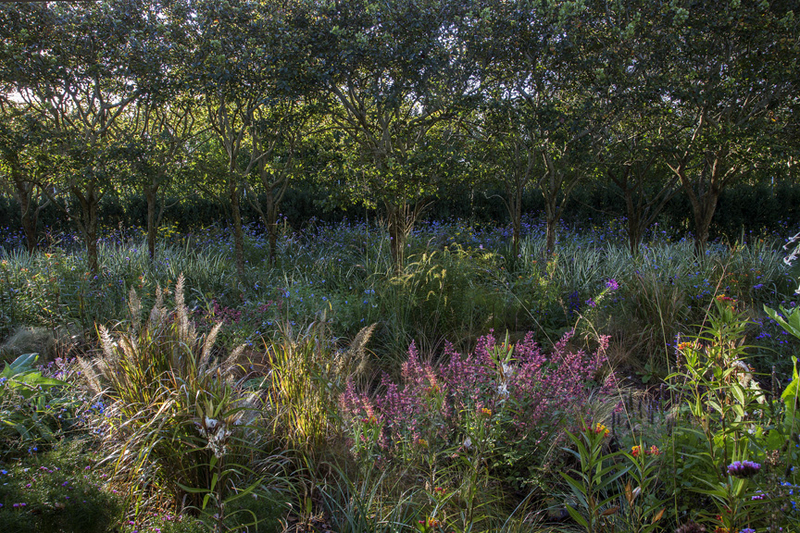 As Mr. Klein’s friends, and guests at some of the high-profile fund-raisers held in summertime in the Hamptons learn about the healthier approach to landscaping, “it goes viral … peer to peer,” Ms. von Gal said. When an algal bloom traced to chemical runoff erupted in an East Hampton pond ringed by movers and shakers’ estates some time ago, resulting in the death of one property owner’s dog that came into contact with toxic elements, a neighborhood group was formed to research and address the problem. 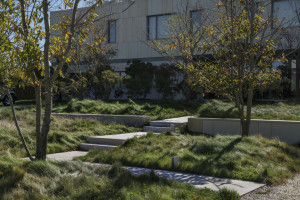 The Perfect Earth Project is providing the group with alternative landscaping ideas, shifting the view of what is a beautiful, appropriate, and brag-worthy landscape away from expanses reliant on lush, chemically maintained lawns, and instead promoting buffers of natural vegetation around the pond. And it’s not a matter of money, she says, as the toxin-free way is not necessarily more expensive than landscaping with chemicals. It’s a matter of changing expectations and the paradigm of what constitutes beautiful and properly kept grounds, she says – especially among the demographic of, for instance, the Wall Street financiers for whom the trappings of affluence include a Hamptons house. “A lot of people have never owned a house before,” Ms. von Gal says. They are sold on a landscape maintenance protocol that is unnecessary and ecologically ill-advised, such as annual tree and shrub care contracts that entail “feeding and spraying and pruning trees and shrubs. It’s thousands of dollars a year, and it’s not needed,” she says. “It’s a crazy cycle, because they pump in all these nutrients” and then have to trim the excessive growth. After getting property owners to buy in to a toxin-free landscape, Perfect Earth reaches out to landscapers and provides the information and materials they need to keep their clients happy and their gardens healthy without using chemicals. “We don’t feel that anyone who is using chemicals is wrong – they’re just on a learning curve,” says Ms. von Gal. Looking out at an icy salt meadow stretching beyond her house up on stilts above a tranquil harbor on a recent day, Ms. von Gal talked of how, historically, cultivated gardens, such as those at Versailles, represented man’s dominion over nature. The Perfect Earth Project is piloting a “Perfect Day” program, sponsoring workshops for community members and horticulturists, and tours of chemical-free gardens, and is working with municipal officials on the elements of a “Perfect Town” — promoting an incentive program for the installation of organic landscape designs, and providing Perfect Earth strategies to build on an existing toxin-free maintenance program for town properties — such as reducing roadside mowing to encourage the spread of native wildflowers, protect the turtle population, and cut down on the use of the fossil fuel that powers mowers. In East Hampton, where the local economy is driven by real estate to a significant degree, Perfect Earth is also working with realtors to assert that “a house with a toxin-free landscape is worth more.” Parents and pet owners are also being targeted with the health-conscious message.